Celebrate Lunar New Year with us! 🏮 CINEMA SCREENING: Kung Fu Hustle – 03 February, 17:00 // Union Films. Free for all students and staff, tickets are first come, first served. Film will be in Mandarin with English subtitles. 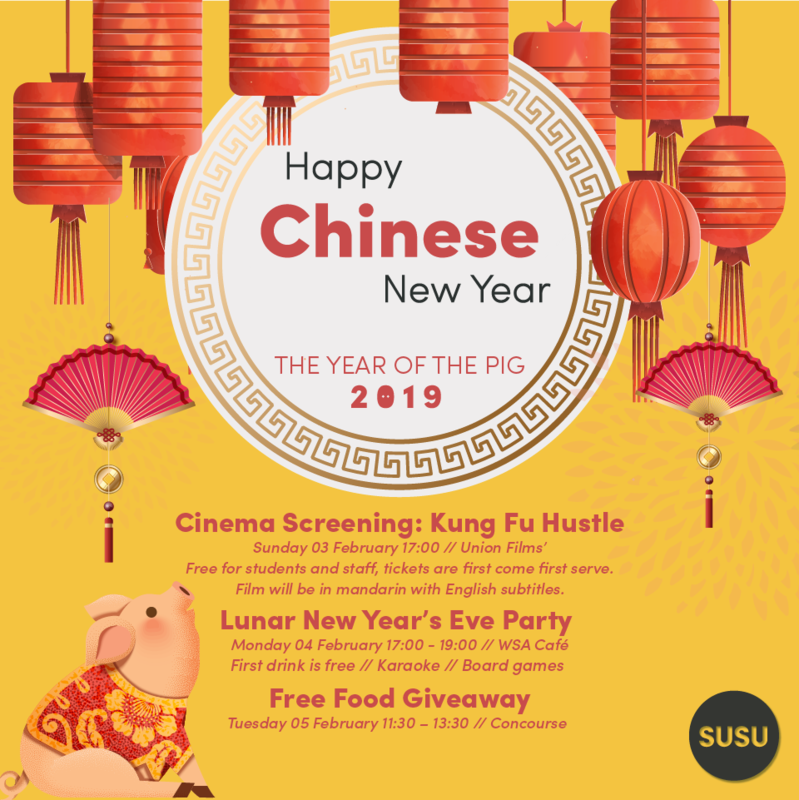 🏮 LUNAR NEW YEAR’S EVE PARTY: 04 February, 17:00 – 19:00 // WSA Cafe. Karaoke and board games and first drink is free! 🏮 FREE FOOD GIVEAWAY: 05 February, 11:30 – 13:30 // Concourse.